A graduate of the Addictions Studies Program at Pierce College, Somatic Experiencing® Practitioner, and bodyworker, Laura has worked in the fields of stress, pain management, and self-regulation for over 25 years. 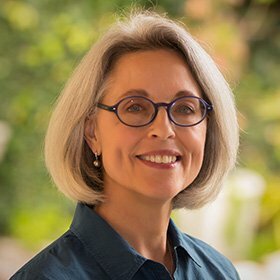 She is trained in many styles of bodywork, starting with her first love, Esalen Massage® followed by craniosacral therapy, and the osteopathic approach of Ortho-Bionomy®. Laura uses Somatic Experiencing®, bodywork, and NeuroAffective Touch® to treat attachment and developmental trauma. Her understanding of developmental trauma has been deepened by her study of Bodynamics, The NeuroAffective Relational Model (NARM), and Kathy Kain’s Touch Training for Therapists and Resilient Child series. Laura believes that life is a course of study and the body its text book. Life’s bumps, traumas, twists, and turns are part of the journey. In her work with clients, she finds that the road leads back to one’s unique blueprint. Utilizing her somatic menu of interventions, Laura provides missing connections that support emotional, physical and psychological stability and healing. Laura works part-time at ReConnect Integrative Trauma Treatment Center as a Trauma Resiliency group facilitator and somatic therapy provider. She maintains a private practice in Los Angeles, where she supports clients in the exploration of somatic awareness and helps them experience their body as home.